Aroldis Chapman made his return to the major league playing field tonight, and he did not disappoint. Though his ninth inning appearance against the Baltimore Orioles did come with a 5-run lead, it still wasn’t exactly a no-pressure situation. After all, before he went on the DL, he might have gotten the loss in this situation. But not tonight. 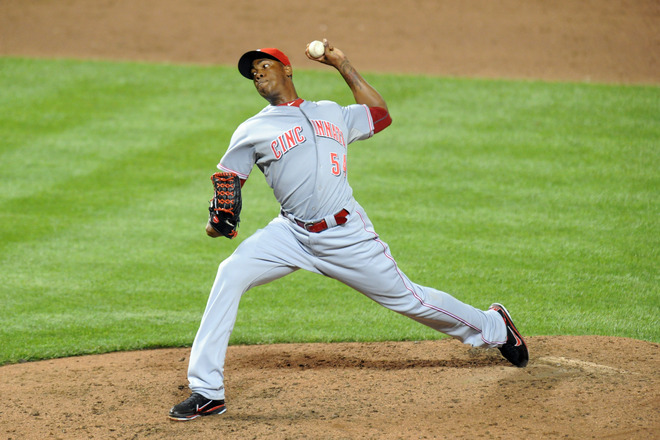 Tonight, Chapman was all strike-outs, mowing down Matt Wieters, Mark Reynolds, and Robert Andino. The last pitch I saw clocked in at 101 mph. That’s the good stuff people pay to see. So, welcome back, Chapman. We’re all looking forward to you outperforming Bad-royo the rest of the season.